I got a great deal on a Saffire 19 with a cart and granite top yesterday, so I thought I'd take a moment to introduce myself. This is my first kamado, but based on my family's feedback after our first cooking, I expect to use it as much as possible. Looking forward to picking up ideas from all of you! Welcome MOSaffire! 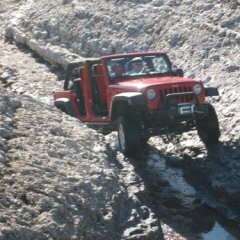 Lots of great people and info here. Welcome. You have entered a whole new world and you will love it. Post some photos of your cooks. Enjoy. 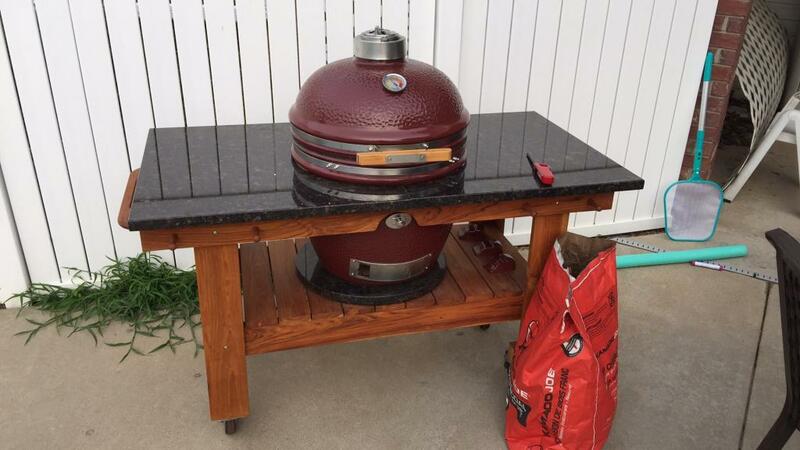 Welcome to Kamado Guru and welcome to The Obsession! Nice setup. That granite top is beautiful. I have the Black Saffire myself, and I am very happy with it. Enjoy your cooks and the kudos you will earn from friends and familyl. I think your life is about to change. Wow I sound like I'm in a cult or something. Quite beautiful. Love the table. Welcome. If I were buying a new Kamado again --the Saffire would get a lot of consideration. Welcome! I'm in the Saffire owners club too, great kamado, very easy to control and the chip feeder port is superb!! Very nice setup. Welcome, MOSaffire. I am loving mine after having it for awhile now! Where did the table come from? Ive been looking for one just like that. I believe it's from Saffire. They have tables with the granite tops.